Arthritis and bursitis are conditions that affect the functioning of the joints. Arthritis is a term for a group of more than 100 musculoskeletal diseases that usually results in severe stiffness and swelling. A reduction in the amount of cartilage – the connective tissue in your joints that protects them by absorbing pressure and shock – causes some types of arthritis. The most common form of arthritis is osteoarthritis, which occurs when the cartilage at the ends of your bones wears down. This natural wearing down of cartilage tissue over time can be exacerbated by an infection or injury to the joint, and if you have a family history of osteoarthritis, your risk of developing the disease can be higher. Bursitis occurs when a fluid-filled sac (bursa) that cushions the bones, tendons, and muscles near your joints becomes inflamed. It is typically caused by arthritis, injury, infection, or excessive exercise. Common sites for bursitis include the shoulder, elbow, hip, and knee, but you can also have bursitis near other joints that perform repetitive motion frequently, such as your heel or the base of your big toe. Both arthritis and bursitis can be debilitating, causing severe pain and immobility. Arthritis is not curable, but it can be treated to manage your pain and improve your quality of life, while bursitis is treatable with surgery rarely needed. Typical nonsurgical treatments for osteoarthritis include medication, physical therapy, and viscosupplementation injections for knee arthritis. Many people eventually need joint replacement surgery once the cartilage is completely gone and the bones are rubbing together. While hip and knee replacement surgery are the most common procedures, almost any joint in the body can be replaced. 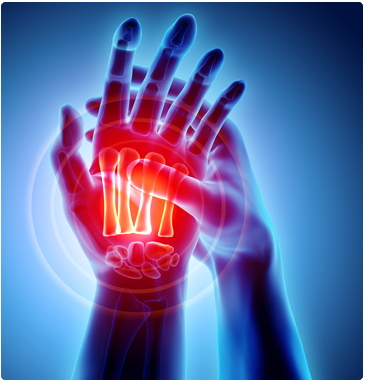 If you are suffering from arthritis or bursitis, talk to Spectrum Orthopaedics in North Canton, Ohio. We are experts in pain control and have a long history of success with patients of all ages. We can work with you to develop a personalized treatment plan.